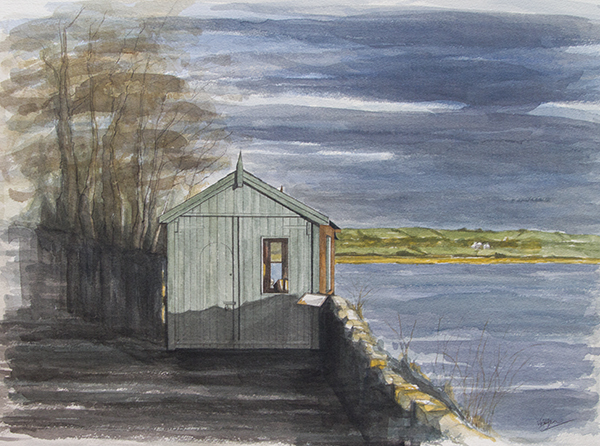 The Dylan Thomas’s Writing Shed in Laugharne is only a few metres from the Boathouse, perched on the cliff overlooking the Taf estuary – sitting balanced on stilts. It now serves as a major tourist destination and Dylan’s retreat includes memorabilia and some of the original furniture. This is a watercolour painting I undertook in 2014 was to commemorate Dylan Thomas’s Centenary.